Located just about 600 miles from the mainland of Ecuador, South America, are the Galapagos Islands, a magical place like none other on earth. Experience the best of Isabela Island, the "lost paradise" of the Galapagos Islands, as well as Santa Cruz, the central most island in the Galapagos Archipelago. 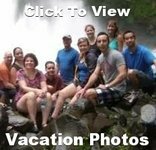 Snorkel with sharks and sea turtles and hike around the incredible moonlike landscape of Sierra Negra Volcano. See Giant Land Tortoises in their natural environment and learn about breeding and conservation efforts at the famous Charles Darwin Research Station. 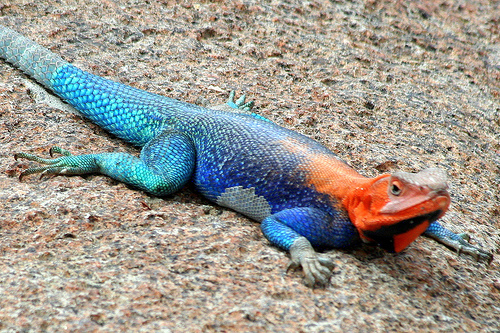 Enjoy the incredible wildlife and awesome landscapes of the Galapagos with naturalist guides. 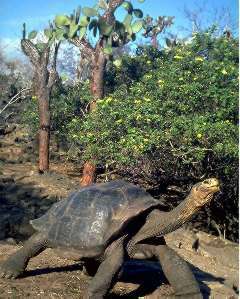 The time to visit the Galapagos is now with Best Single Travel! Galapagos Sea Lions, Galapagos Giant Tortoises, Marine Iguanas, White-tipped Reef Sharks (Tintoreras), Penguins, Sting Rays, Sea Turtles, Sally Lightfoot Crabs, Lava Lizards, Blue-Footed Boobies, Flamingos, Frigate Birds, Pelicans, Darwin´s Finches, Galapagos Fly-Catchers, Galapagos Mockingbirds, and more. Plan to arrive into the Galapagos Islands this morning before 11:00am. Best Single Travel will help co-ordinate your air flights as you will need a flight to Ecuador and then a separate flight into Baltra (the Galapagos airport) Upon arrival you will be directed into the Galapagos immigration area. Right after immigration you will be greeted by our guide, transferred to Puerto Ayora, located on the southern shore of Santa Cruz Island and our hotel. After lunch, let's take an excursion to the most beautiful beach in Galapagos, Tortuga Bay. Named for the sea turtles that lay their eggs there, Tortuga Bay is about a 30 minute walk along a marked and cobbled path, good for bird watching. Spot several species of finches as you walk along the path. There is a swimming area and a nice spot for relaxing. The white sand beach is considered by many the nicest of the archipelago. Other species to be found include pelicans, flamingos and marine iguanas. Our guide will pick us up from the hotel and take us to the dock of Puerto Ayora, where we will start our 2 hours sail to Santa Fe Island. Santa Fe Island is an almost central Island which has an incredible bay with turquoise waters, protected by a natural barrier of rocks and colonies of sea lions live and hawks can be seen flying. Enjoy a 1 hour and 45 minute easy hike where we will see the different land species that inhabit this island. Then enjoy about 1 hour free time to visit the tourist sites and viewpoints. In the afternoon we will visit the bay, an excellent place for swimming and snorkeling. Here we will have approximately 1 hour to snorkel and observe the many sea creatures, such as sea turtles, rays and sea lions playing in the crystal clear and warm water. This morning we transfer to Itabaca Channel, where will get on board our boat for a 1 hour sail to Seymour Island, a spectacular place to hike and enjoy the scenery. 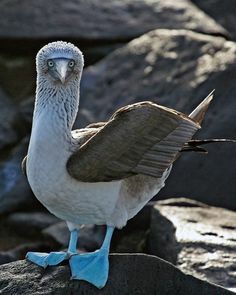 On the north-side of Seymour we will find unique plants such as: incense tree, cactus, sesuvium, escalecias and animals like: blue-footed boobies, gulls sitting on the edges of the cliffs and colorful frigates birds in their nests. On the other side of the island, while the waves crash against the rocks, we can appreciate the mischievous sea lions playing and surfing. There is a circular path, approximately 1.25 miles long that crosses the interior of the island and leads us to the rocky coast. This trail takes us through some of the largest colonies of sea birds of the Galapagos Islands. After lunch, we can snorkel, swim or sunbathe for around 45 minutes on either las Bachas Beach or Mosquera Islet (will know day of tour which). We get an early start today, have breakfast on board our boat as we travel to Bartolome Island. This Island has some of the most breathtaking panoramas and some of the most beautiful landscapes in the Galapagos. The island, famous for its Pinnacle Rock, an impressive lava structure that towers high above the water, was created by a volcano eruption. When the hot lava reached the sea it cooled down forming a stunning rock composed of thin layers. with a variety of red, orange, green, and glistening black volcanic formations. For a stunning view of two beautiful bays and great views of the various lava formations, we will need to climb up a wooden staircase to the summit. Next it is time for swimming and snorkeling with the Galapagos penguins, marine turtles, white-tipped reef sharks and other tropical fish. 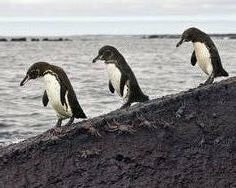 The Bartolome Island bay is an excellent place for swimming, Galápagos penguins are frequently seen, and a small cave behind Pinnacle Rock houses a breeding colony. As we walk along the crescent shaped pink and white sand beach, we will be tracing the footsteps of generations of green sea turtles who return each year to lay their eggs. After our fun day on Bartolome we head back to our hotel for dinner. This morning we visit the Charles Darwin Research Station and Interpretive Center. 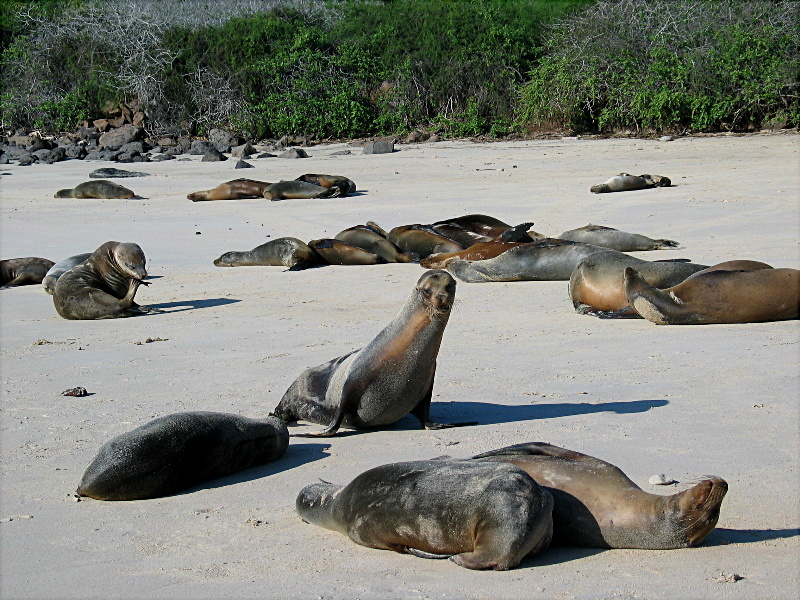 Learn firsthand the conservation and research efforts in the Galapagos Islands. See the tortoise hatchlings and breeding programs which are saving several races of tortoises from extinction. Tour the Van Straelen Exhibit Hall. After Lunch we will transfer to the airporf for our quick flight to Isabela Island. Check in to our hotel and have a short rest. Then we will visit the Flamingo Lagoon, the largest coastal lagoon in Galapagos and a principal breeding ground for the Flamingos.habitat. After breakfast, we will visit the Tintores Islet, named after the white-tip sharks known as “tintoreras” which come to rest daily underneath its clear and calm waters. 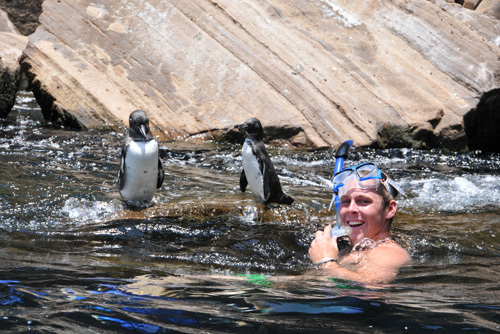 Aside from¨tintorera¨ sharks, we will also get the chance to observe other endemic wildlife like penguins and sea lions. This is a great sport for snorkeling. We will be able to swim next to colorful fish, sharks and rays. This afternoon we get to visit Humedales Complex, which includes an amazing visit to The Giant Tortoise Breeding Center. We will also see the famous “Muro de las Lágrimas” and “Mirador Orchidia” viewpoint and walk along the “El Estero de Isabela”. Isabella Island was designated as a penal colony by the Ecuadorian government. Here the prisoners built a wall made of enormous lava rocks. Today is our free day to relax or enjoy the island's various activities. There will be optional excursions offered. Our guide will pick us up from our hotel this morning and take us to the Isabela Island airport. Where we need to check in at the airport counter at least 45 minutes prior to our departure time. Please note the baggage weight allowed per person is 25 pounds.We will board our flight to Santa Cruz at 8:30am and arrive in Baltra airport at 9:00am, where we start our jouney home. Please do not book your flight home from the Galapagos before 12:30pm. We hope you enjoyed your Galapagos singles vacation. *The price per person is for a double room. 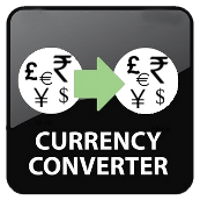 Best Single Travel provides free roommate matching on all our vacations, so there is never a need to pay a "single supplement". If you wish to room alone it is an additional $650.